If you are a beginning meditator or are looking to refresh your understanding of mindfulness meditation practice, join us on Tuesdays nights at the Integral Yoga Institute for our 30-minute Learn to Meditate class. Under the guidance of a senior teacher, you will receive full instructions on working with posture, breath, and thoughts, as well as an introduction to the view of meditation in the Shambhala tradition. Afterwards, you’re invited to stay for our Weekly Dharma Gathering from 7-9 pm. Shambhala New York is currently in transition without a permanent center, but meditation programs and events are still being offered in all five boroughs. Learn more about our transitional home, the Integral Yoga Institute, and the wonderful offerings they provide here. See the right hand panel for our upcoming offerings and join our mailing list to receive our “In The Now” newsletter for current events and updates. Learn more about us here. Visit our Resources page to learn about programs at our regional land centers (Sky Lake, Karme Choling, and Shambhala Mountain Center) and helpful information on book recommendations, cushions, and more. If you’re a current member of Shambhala New York and wish to meet with an individual meditation instructor, please contact Dan Schriebman, Operations Manager. 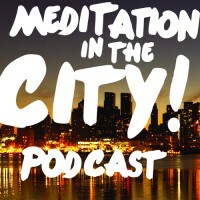 Recorded between 2011-2018 at our Weekly Dharma Gathering, the Shambhala New York podcast contains hundreds of hours of rich teachings from the Shambhala tradition. Take your seat and immerse yourself in ancient wisdom made accessible and relevant for modern living. 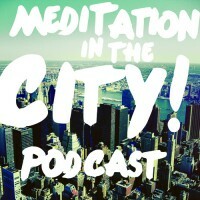 Listen below or click here to access the entire Meditation in the City archives. In the wake of recent sexual abuse allegations within the Shambhala community, Joy Gutierrez moderates a discussion about the state of Shambhala with Ethan Nichtern, David Perrin, and Dr. Shanté Paradigm Smalls. On the occasion of the final Weekly Dharma Gathering before the New York Shambhala Center moves out of its longtime space, Acharya Eric Spiegel discusses the Buddhist teachings on transition and change. How does meditation help us during these challenging moments? Laura Simms discusses the nature of courage. 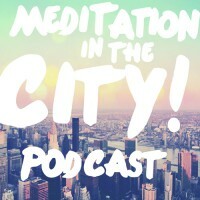 How can meditation practitioners be courageous in these increasingly turbulent times? The #MeToo Movement is currently illuminating deep challenges within the international Shambhala community. Please learn more about our communal efforts to address this heartbreak through these resources.